Throughout Disney's phenomenally successful run in the entertainment industry, the company has negotiated the use of cutting-edge film and media technologies that, J. P. Telotte argues, have proven fundamental to the company's identity. Disney's technological developments include the use of stereophonic surround sound for Fantasia, experimentation with wide-screen technology, inaugural adoption of three-strip Technicolor film, and early efforts at fostering depth in the animated image.Telotte also chronicles Disney's partnership with television, development of the theme park, and depiction of technology in science fiction narratives. An in-depth discussion of Disney's shift into digital filmmaking with its Pixar partnership and an emphasis on digital special effects in live-action films, such as the "Pirates of the Caribbean" series, also highlight the studio's historical investment in technology. 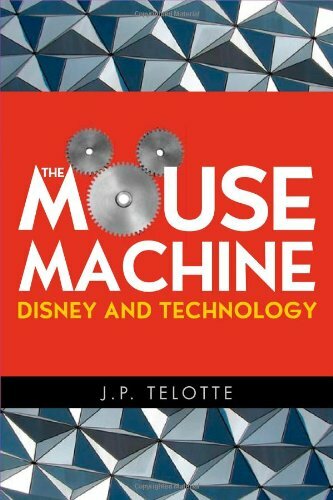 By exploring the technological context for Disney creations throughout its history, "The Mouse Machine" illuminates Disney's extraordinary growth into one of the largest and most influential media and entertainment companies in the world.